The family of Sam Marshall are to seek a full inquest into his death after it was revealed this week that he was under observation by at least nine British soldiers when he was killed in 1990. 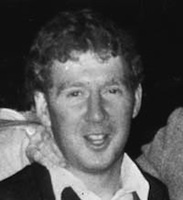 Marshall, a Sinn Féin member and a former political prisoner, was killed in a hail of automatic gunfire when he and two other republicans were ambushed moments after they left a police station in Lurgan, County Armagh, in 1990. The presence nearby of a red Maestro car, later found to be a military intelligence vehicle, had sparked suspicion of a significant state role in the killing. It has now emerged the car was just one of six vehicles in a major surveillance operation involving at least eight armed undercover soldiers. The UVF death squad launched the attack within yards of the British soldiers, and escaped with ease. However, the claim that there was no evidence of state collusion with the gunmen, repeated again this week by the police’s Historical Enquiries Team (HET), was greeted with anger. The three men -- who included the victim’s brother in law Tony McCaughey, and Colin Duffy, a lifelong target of Crown force persecution, violence and false arrest -- had been signing in at the Lurgan RUC station as part of police bail conditions. The presence of the Maestro and questions over how the loyalists knew when the republican trio would be leaving the police station sparked major controversy in the 1990s. But a review of the unsolved case has now found that at least eight undercover soldiers were deployed near the killing, with their commander monitoring from a remote location. * Two plain-clothed soldiers with camera equipment were in an observation post at the entrance of the police station as the three republicans arrived and left. * Two undercover soldiers followed the republicans on foot and were within 50 yards of the attack but claimed they did not to see the killing in which the gunmen fired 49 shots. * After the two masked loyalists jumped from a Rover car and started shooting, the troops did not return fire -- claiming it was out of their line of sight and too far away. * Despite being in a republican area, the soldiers notably made no reference to feeling at risk from the masked gunmen -- suggesting they were fully cognisant of the events unfolding before their eyes. * The RUC found gloves near the gang’s burnt-out getaway car but the gloves were then claimed to have been “lost”. * The RUC then sought to deny the existence of a surveillance operation by giving false statements -- when they had in fact briefed the undercover troops. But HET investigators refused to admit that the RUC must also have briefed the UVF gang, and even suggested the killers could have acted independently on their own intelligence. The HET has been strongly criticised for their review of the case, which did not carry out new interviews, but relied solely on RUC statements from the time. All three men are thought to have been targeted for murder that day. “The gunmen meant to kill the three men that night and it went wrong. The other two guys lived to tell the tale,” said John Marshall. Rosemary Nelson, a Lurgan solicitor who took up the Marshall family’s case, was killed by loyalists in 1999 amid evidence of police collusion in that attack. There has never been an inquest into the shooting - but the family’s current solicitor, Padraigin Drinan, said she would now be pressing for one to be held. “The family have wanted an inquest all along and on several occasions they have been told there is no need for an inquest because there has been a police investigation into the death,” she said. Responding to the development, Runai ginearalta eirigi Breandan Mac Cionnaith said that it was clear that the British government and the RUC/PSNI had been involved in covering up many of the facts about the killing for 22 years. “The government and the police lied to the Marshall family, lied to the public and lied to the press when they repeatedly denied that Sam and his two companions were being monitored by British forces on the night of the murder,” he said. He said his party fully supported the Marshall family’s campaign to uncover the truth behind Sam’s murder. Sinn Féin Assembly member Gerry Kelly said that the report was a new attempt to ‘camouflage’ the role of British Army and RUC personnel. “The killing of Sam Marshall happened within feet of the RUC barracks he had just left and under the nose of members of the British Army and RUC,” he said. “For the PSNI’s HET to reach any conclusions on this killing without any members of the British Army present at the scene first being interviewed is a patent effort to camouflage the role of British soldiers in this killing. He said Sinn Féin would again raise its concerns about the HET with the Policing Board.